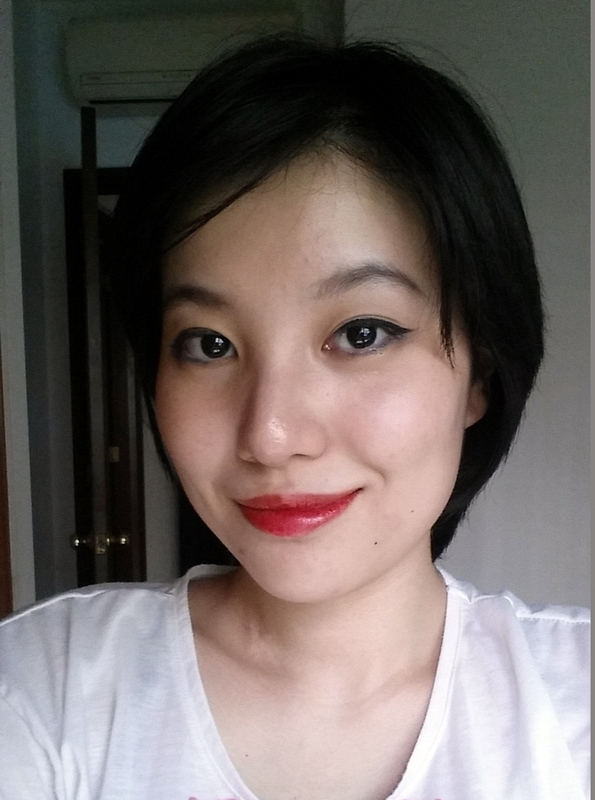 To me, red lips are definitely formal and done up, and I don’t think I’m the only one. I usually reserve reds for special occasions, but recently I found a red that can very possibly be worn every day! I’ve already worn it a few times to the office without feeling particularly formal. I love this kind of texture because it’s more forgiving than a cream lipstick, and the jelliness is really pretty and feminine. It sheers out very easily too. On the left you can see it freshly applied. It’s super dark in the photo for some reason but it looks very much more casual in real life. It’s a red I feel comfortable wearing daily. 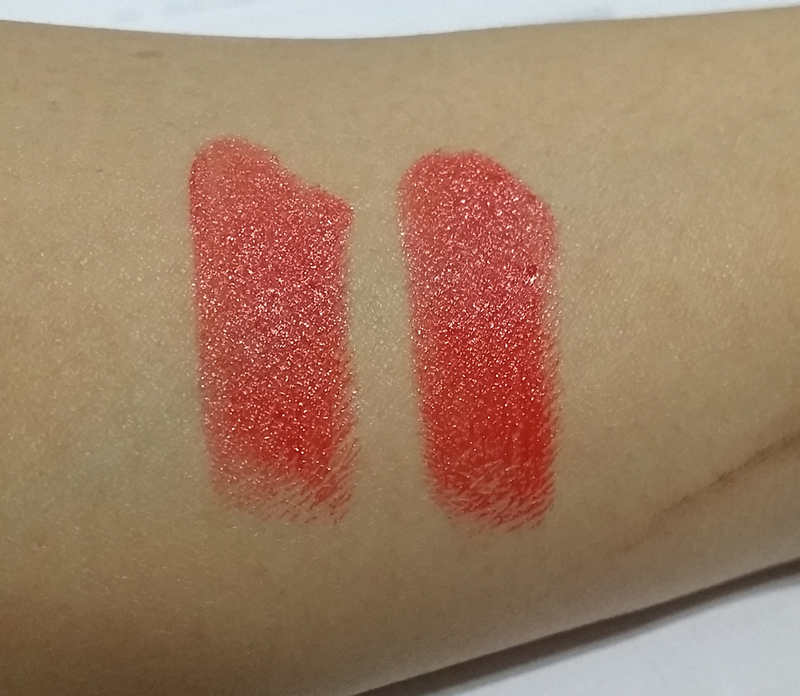 On the right is the lipstick after a couple of hours. It has faded away a bit, and leaves the absolute prettiest strawberry stain behind. My natural lip colour shows through and combines with the warm red to be a gorgeous muted strawberry. Although this line is named Vivids, I think the jelly texture of the lipsticks lend themselves very well to all kinds of wear. 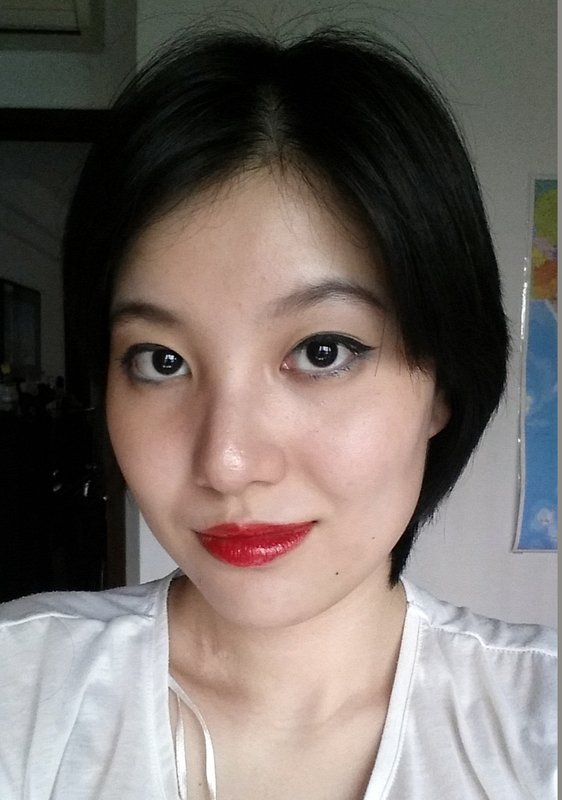 Warm reds are kinda casual, and the transparency of this lipstick makes it very beginner friendly. 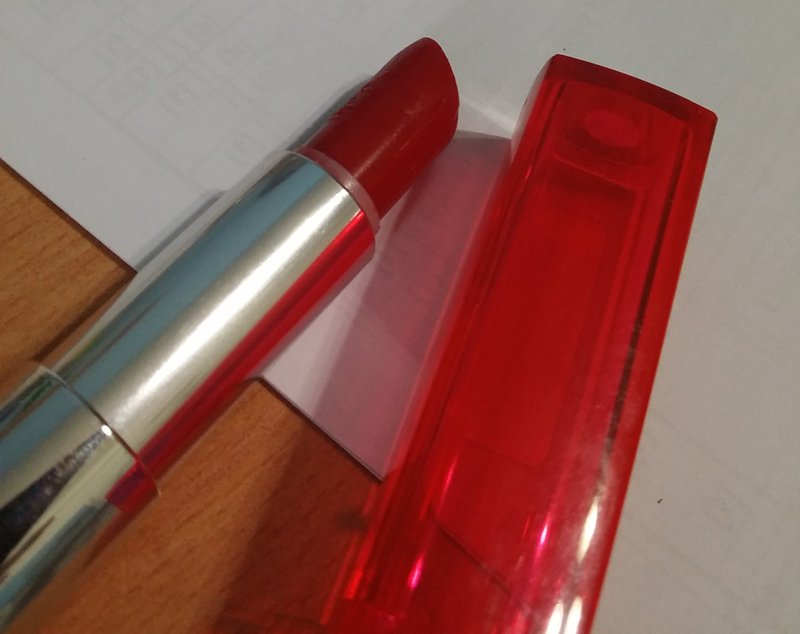 I would even recommend this to a red lipstick newbie – just dab it on lightly and it becomes a noob red! Vivids are not available in Singapore, but you may be able to snag one from an online reseller.